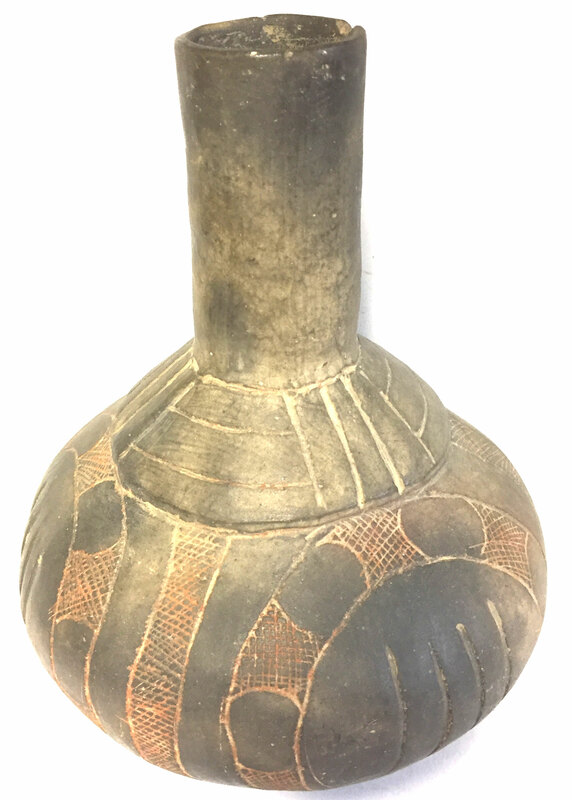 A Large Size, Exceptionally Well Made, One Of The Better Known To Date, Caddoan Friendship Engraved Waterbottle That Exhibits Surface Aging And Clay Coloration Patina, Correct Shape And Style Engraving, Aged Red Ochre Pigment In The Lines, Correct Visible Open Pit Firing, Aged Surface Shell Deterioration, Correct Aged Surface Fire Marking, Correct Material And Manufacture For The Area Found. Found At The Tucker Smith Place Near The Ouachita River. Ex-Tucker Smith, Roy Hathcock Collections. Pictured In Who s Who # 5, Page 80 And Legends Of Prehistoric Art, Vol. I, Page 128. Includes A Ken Partain Certificate Of Authenticity.